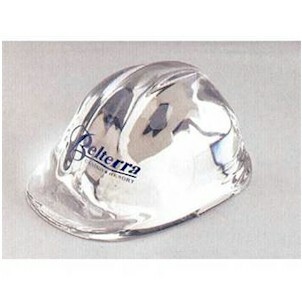 Hard hat shaped paperweight measuring 2 1/4" x 3" x 1 1/2". 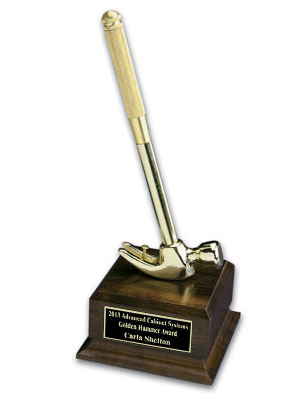 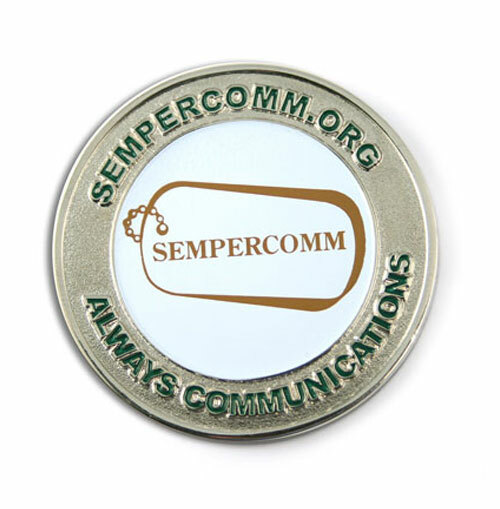 Available in multiple finishes and can be personalized with company logo or text. 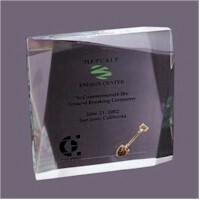 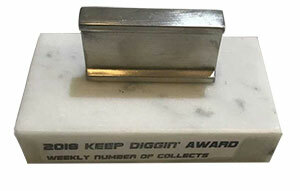 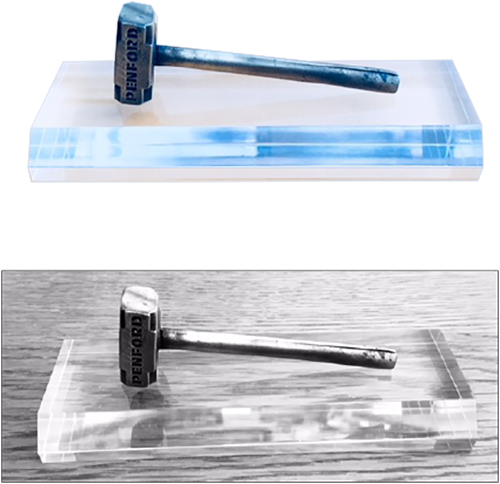 Clear lucite embedment hard hat award. 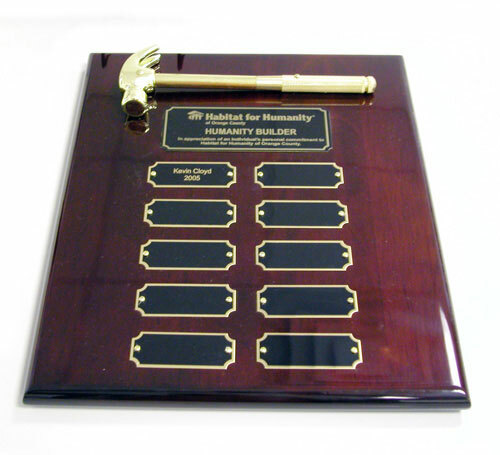 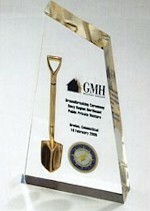 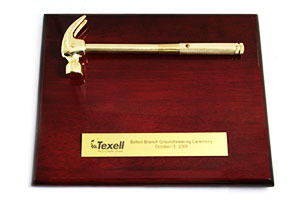 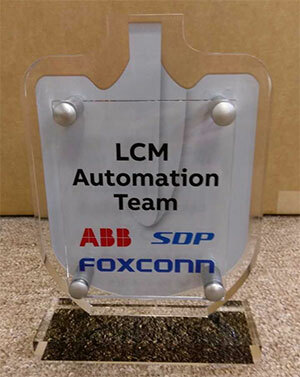 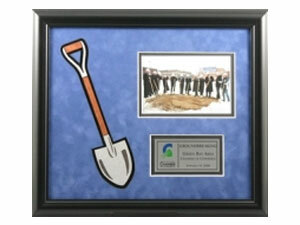 This is a custom ceremonial hard hat plaque which can be used to commemorate a groundbreaking or to thank sponsors for their participation on a special building project. 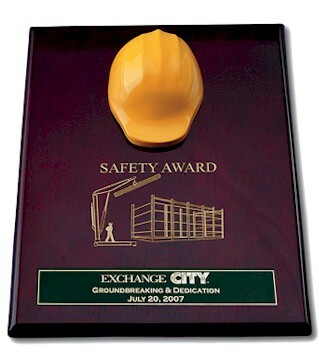 Piano wood plaque with yellow resin hard hat. 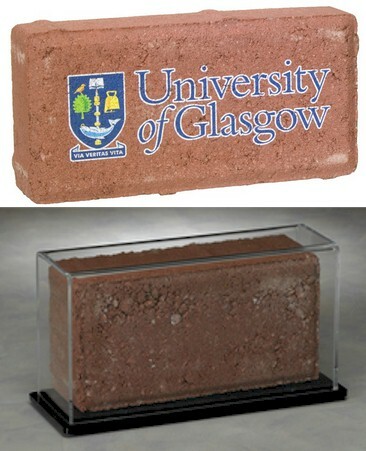 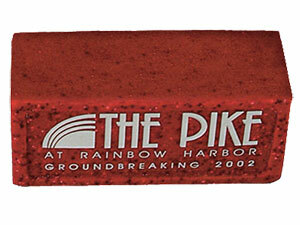 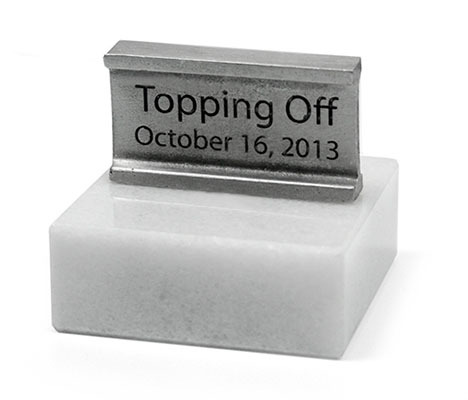 Make your event memorable by giving out these fun brick paperweights. 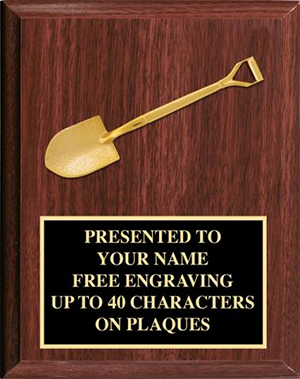 Perfect to advertise your companies name! 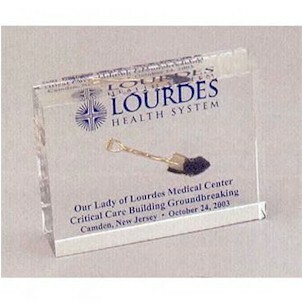 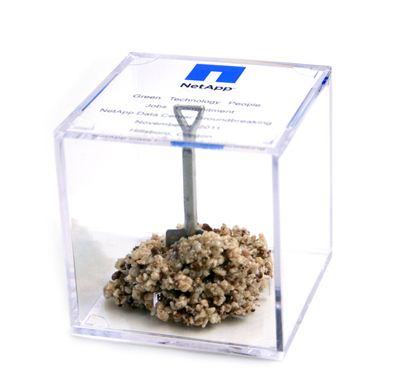 These Lucite keepsakes are custom made to suit any of your event needs and budget. 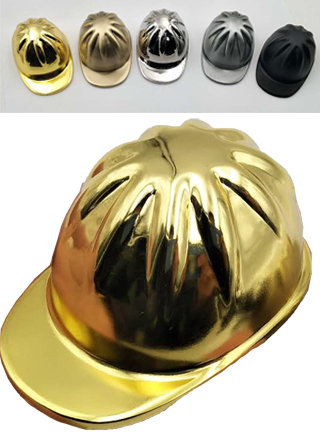 Golden Openings will beat or match ANY price for like items. 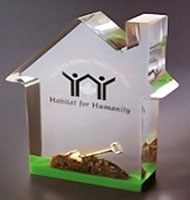 Great award for your VIPs. 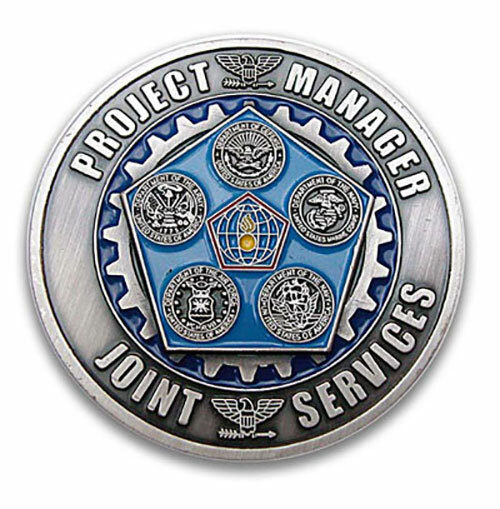 Give your appreciation to your tenured employee with our 1.5 inch Pewter Cast Coins. 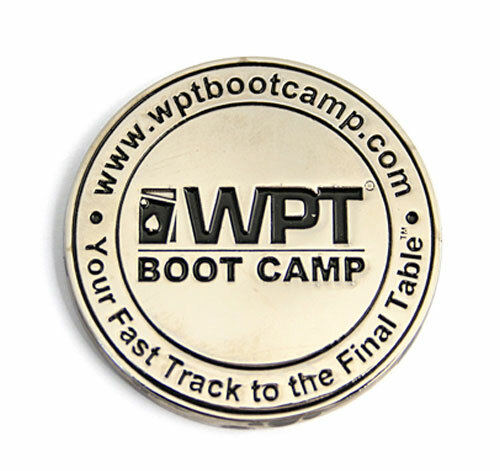 Show your retiree how much they meant to the company with our 2 inch Pewter Cast Coins. 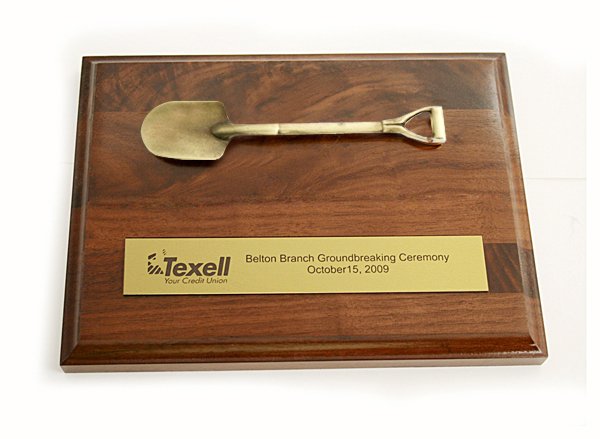 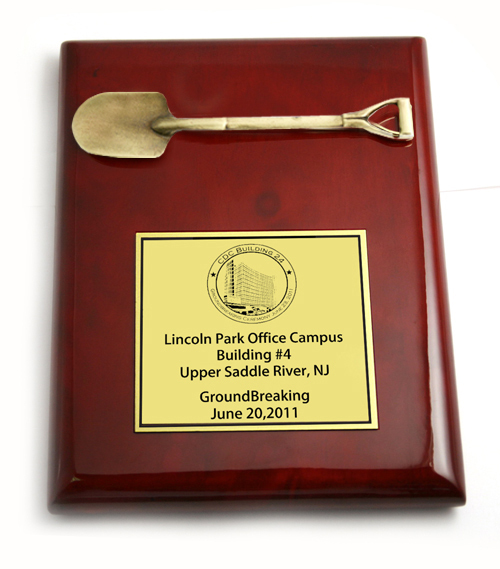 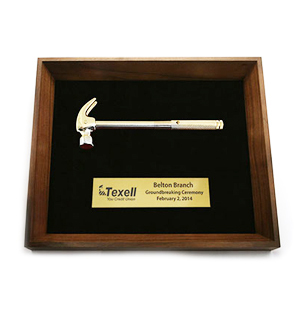 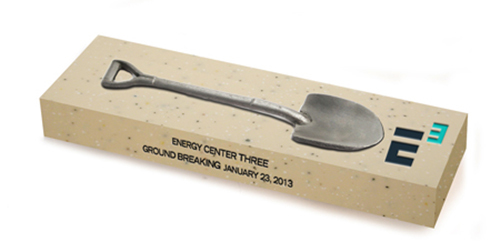 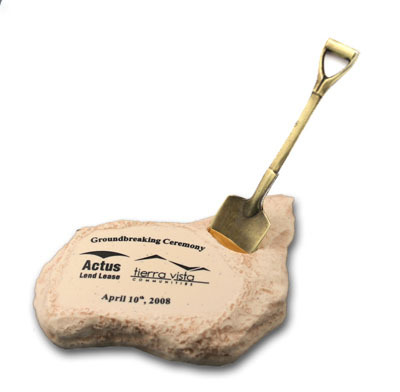 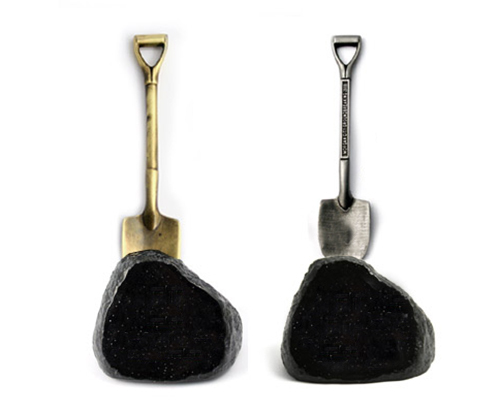 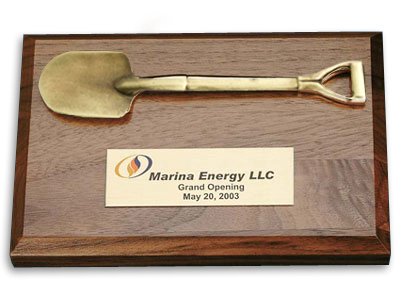 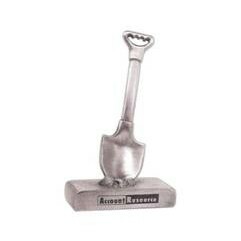 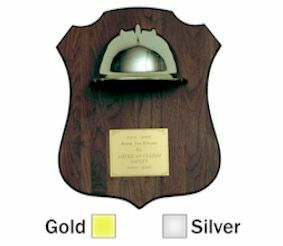 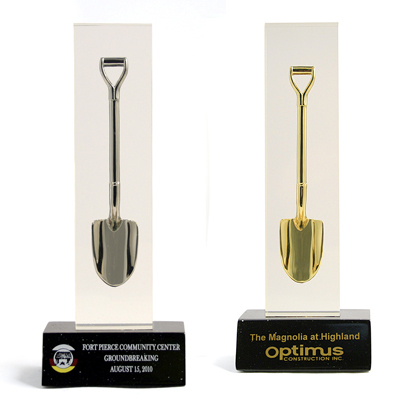 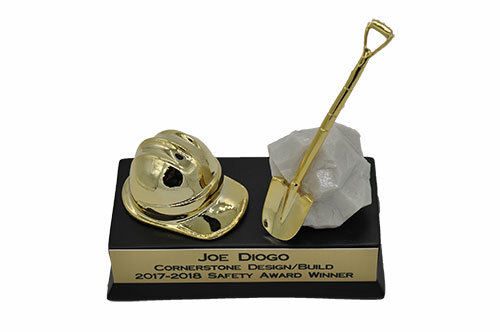 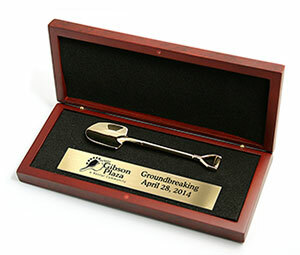 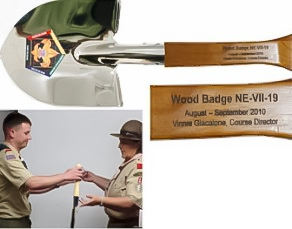 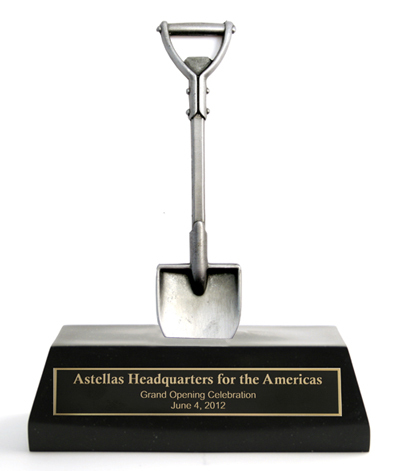 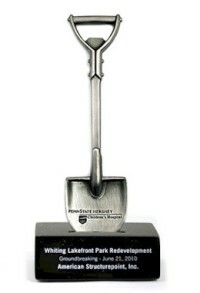 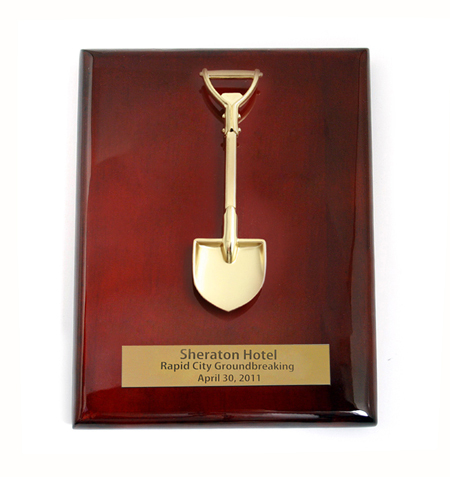 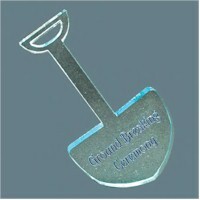 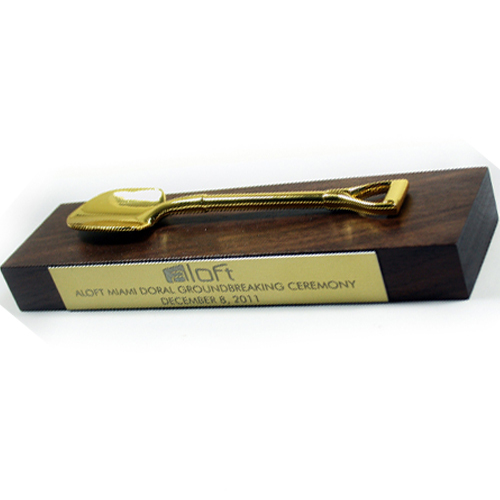 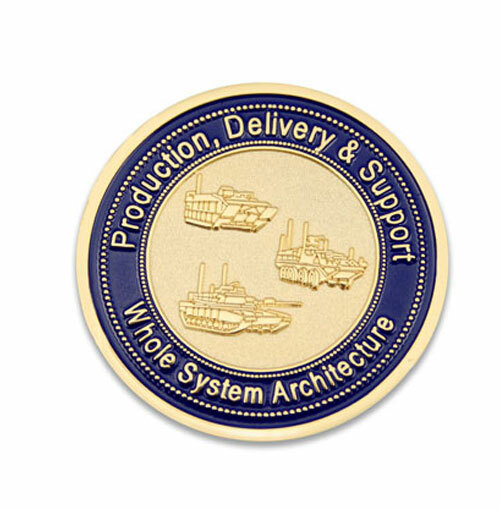 Commemorate your groundbreaking with your team with our 1.5 inch Gold or Silver Brass Coins. 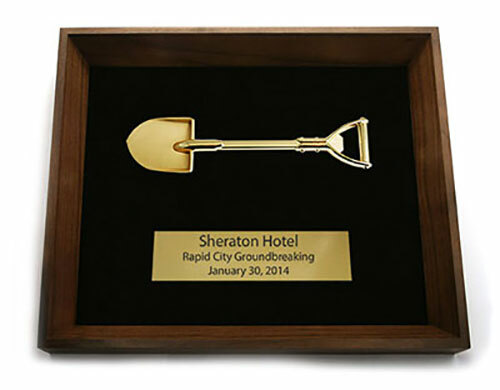 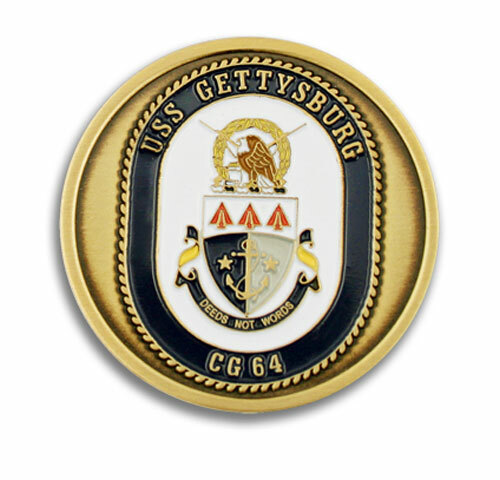 Our 1.75 inch Gold or Silver Brass Coins are unique keepsakes from your groundbreaking event. 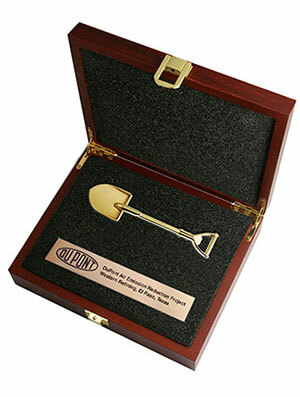 Our 2 inch Gold or Silver Brass Coins will send your construction event guests home happy. 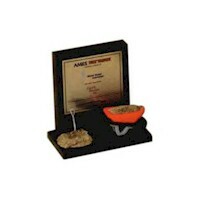 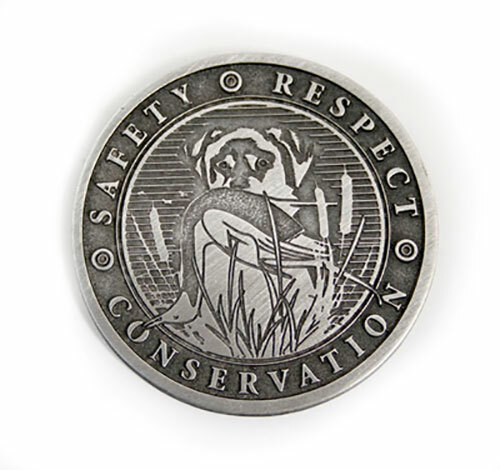 Our 1.5 inch Zinc Coins are the perfect keepsake for your employee appreciation ceremony. 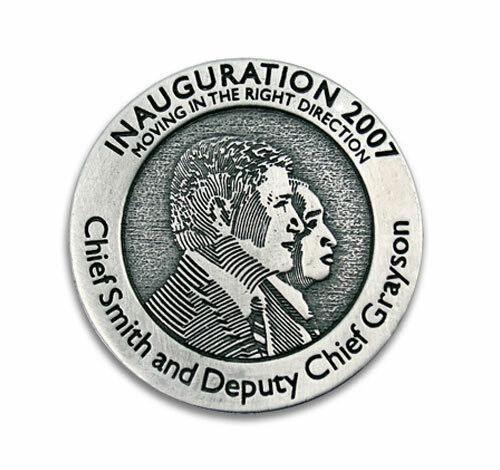 These commemorative coins will make your guests never forget your big event.